Long, charming and elegant earrings made by hand in oxidised and polished, fine and sterling silver. 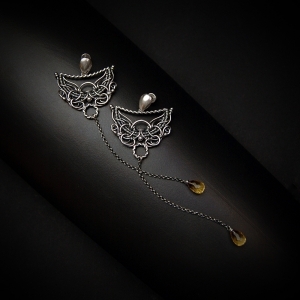 Adorned with beautifully faceted citrine drops. The earrings measure 10.5cm in total length and are 3.5cm wide. One earrings weighs about 6 grams.